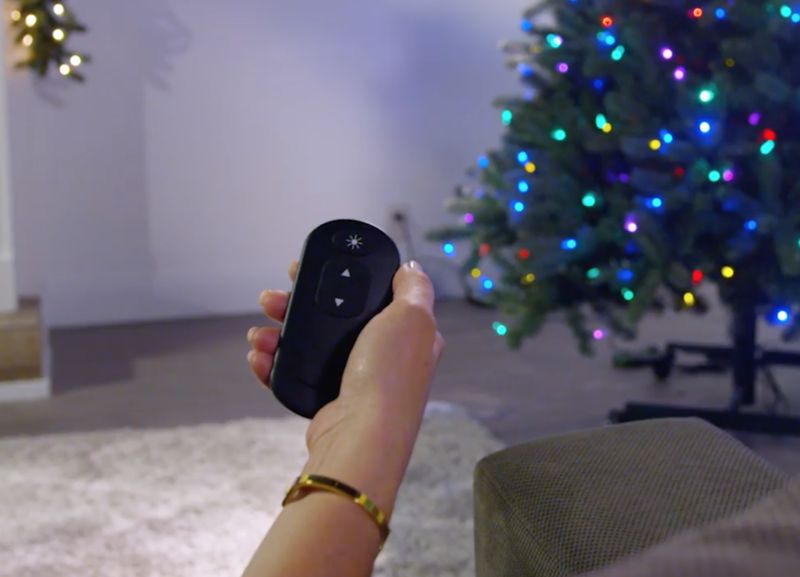 Whether you’re the type of person who’s watched and waited all year for the best tech gifts of 2017, or someone who thinks technology can be a great way to add a little holiday magic to your home decor, you’ll want to check out this short list of tech gifts that are sure to impress even Santa (and you know how connected he is). Your old artificial Christmas tree is looking a little drab, and all you have left to look forward to is putting that creepy elf up on the shelf again and unpacking the Christmas collectibles that Grandma keeps giving you. You definitely need some new inspiration for the holiday season. Try adding some Christmas wonder with an artificial tree that actually grows. With the touch of a button, you can make the Virginia Pine Grow & Stow Christmas Tree grow from 7 to 9 feet tall before your eyes and bask in all its 600 LED color-changing glory. The remote control also lets you set the lighting to fit the mood, with eight pre-programed lighting functions to delight and dazzle. 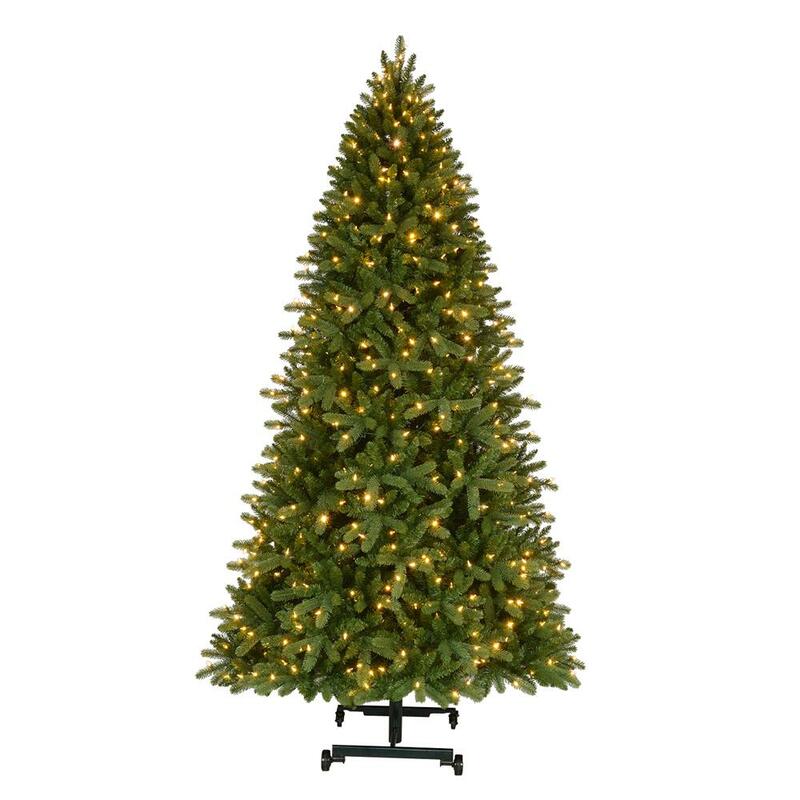 The ultimate in convenience, this tree not only lets you “tech” the halls with a fun new decorating tradition but also saves on setup time, so you can spend more of it relaxing with the people you love this holiday season. If a real Christmas tree with techy tinsel is more your style, order one with Dolly and we’ll get it to your living room the same day! If you’re all about taking decorating to a new level, give Lumenplay® a shot. 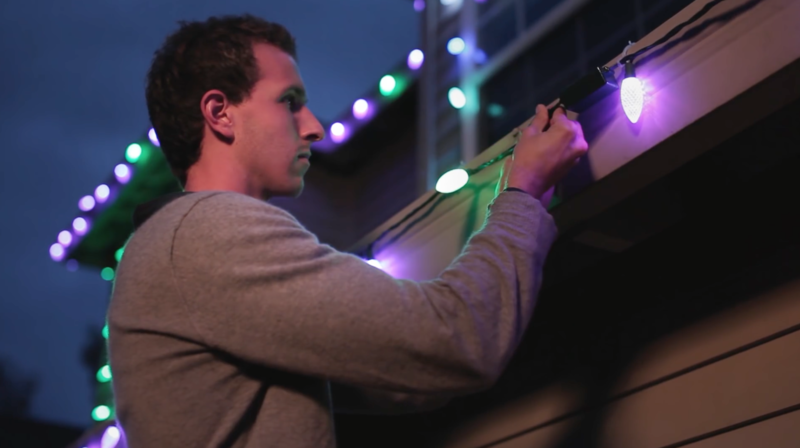 It’s a major tech upgrade on string lights that lets you set up a personalized light show, indoors or out. They’re ideal whether you want to trim your tree with a high-tech option or illuminate your house with something different than last year’s tangle of outdoor Christmas lights—if they ever got taken down in the first place (no judgment). The RGB LED lights are controlled with an app on your smart device that lets you choose not only color combinations and brightness, but also special effects and their speed and direction of movement. These Christmas lights prove you don’t have to settle for the same display night after night. You can change them up to create a different lighting display to enjoy as you countdown the days until Christmas. And if you need to haul away your old tree and Christmas decorations, not to worry: getting help moving things during the holidays is the gift you give to yourself. The last thing you want to do when you’ve unwrapped a shiny new TV Christmas present is to spend time programing the remote to work with all your connected devices. There’s not enough eggnog in the world to make you look forward to that. 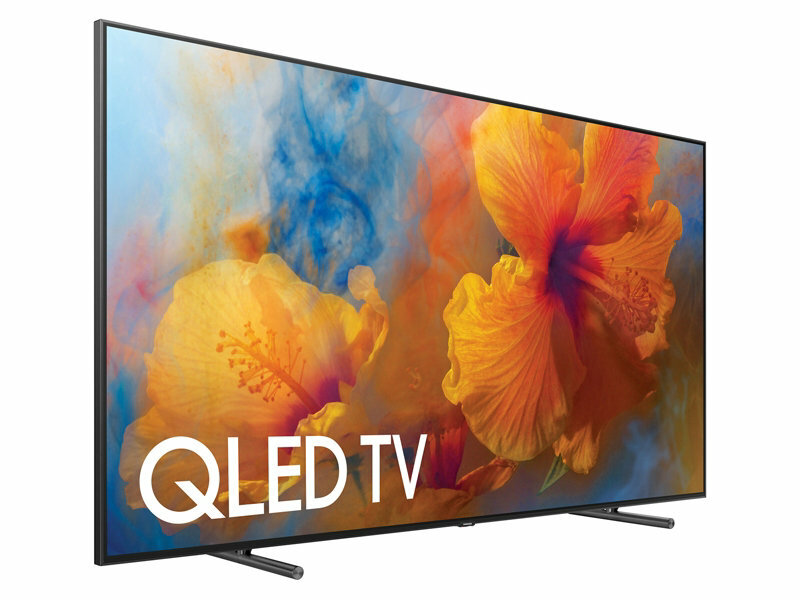 The Samsung Q9F 4K QLED TV, featuring the Tizen smart TV platform, saves you that headache by automatically recognizing your devices and syncing them with the TV remote for you. Of course, new technology is not only about convenience; let’s talk image quality. 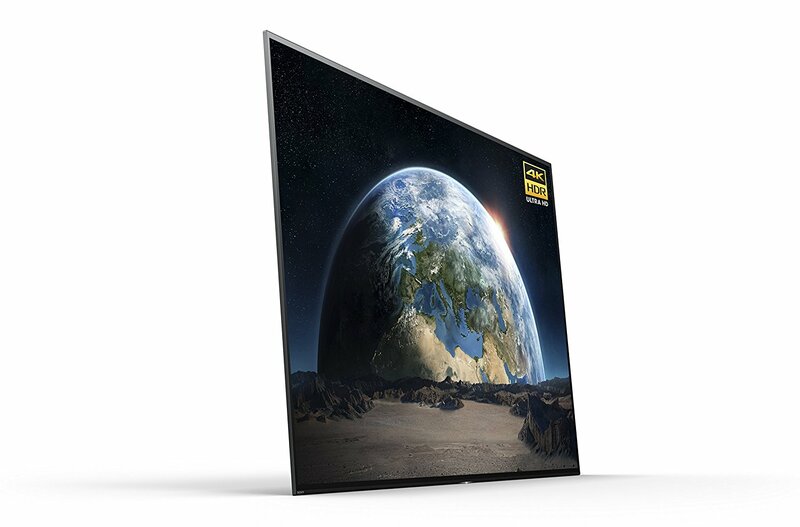 There are plenty of flatscreens out there offering beautifully sharp picture quality. But the picture quality on the Sony A1E OLED TV is downright spectacular, thanks to its OLED (Organic Light Emitting Diode) technology. You know that the kitchen is the heart and hub of the home, and it especially feels that way during the Christmas season. 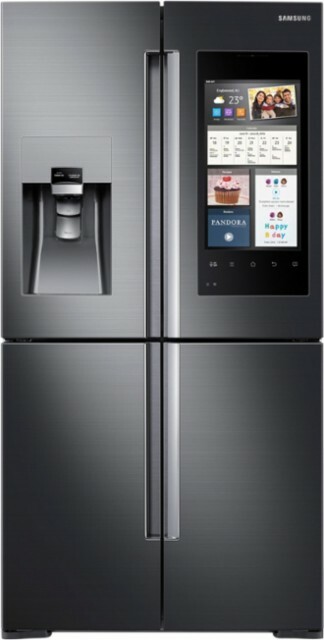 But you can take it to a whole new level if you put a high tech fridge on your Christmas list. The Jenn-Air 72-inch French Door Refrigerator is one of many options that let you control temperatures with WiFi connectivity. And if you want one with a serious brain and kitchen management skills, the Samsung Family Hub 2.0 Refrigerator might be the one for you. It features built-in cameras that let you see inside the fridge when you’re stuck at the grocery store—or when you want to check on the security of your piece of pumpkin pie. The Family Hub can sync shopping lists and calendars, share photos and notes with family members, and let you buy groceries, stream music or order a pizza—right from the refrigerator door. Here’s another great Christmas tech gift splurge for your kitchen (who wants to leave the kitchen anyway, when that’s where the smell of fresh-baked Christmas cookies is strongest?). A smart range can make a big difference, not only in expanded cooking features but also in terms of convenience. The Samsung Gas Flex Duo Wi-Fi Slide-In Range lets you remotely monitor and dial in the right temperature from a smartphone app, so don’t have to abandon your holiday guests and run to the kitchen to turn down the stove. 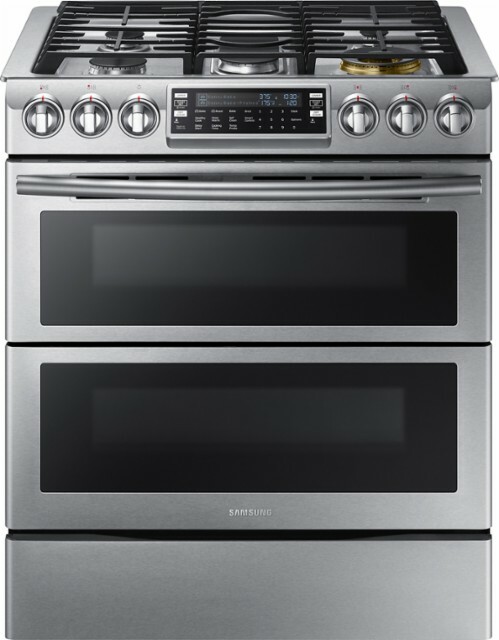 And if you prefer an induction option, this 30″ Free-Standing Convection Range with Induction from GE works with Alexa, Amazon’s digital assistant, so you can set temperatures by voice command (a pretty sweet feature to go with an affordable induction cooktop). If you’ve been waiting all year to indulge on Christmas decor and gifts, any one of the above would make for a happy holiday. Don’t be afraid to dream big—it is your Wish List, after all. And after you text your list to Santa, you can rest easy that you can always get help moving any heavy or bulky items before and after Christmas. Whether you need to haul away an old appliance, replace it with something new, or move those old decorations out of the house to make room for your remote-controlled LED Christmas lights, Dolly can make it happen, quick and easy. Tech lovers, just remember to stay on Santa’s nice list, and you may get yourself an extra helping of merry this season.